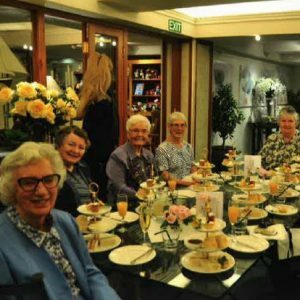 Srs Carmel Coyle, Denise Hannebery, and Jan O’Grady met up in Brisbane to celebrate their milestones on a beautiful, late winter’s weekend. 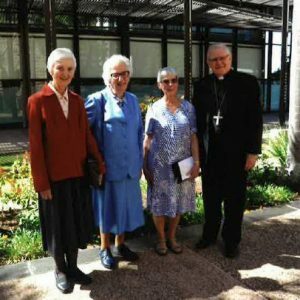 Sr Jeannie Johnston reports: “Brisbane’s archbishop, Mark Coleridge, said the 11.30 am Mass and welcomed them to the Cathedral and told them that his long-time friend Sr Denise Hannebery was one of the three Sisters celebrating their Diamond Jubilees. 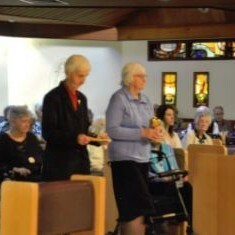 “Srs Jan and Denise took up the Offertory Gifts. 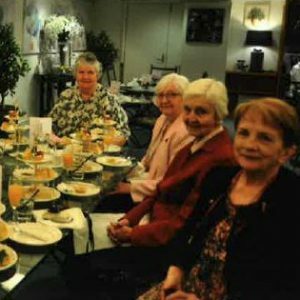 Your deep faith and genuine commitment to living the life of a Sister of Charity for 60 years is an inspiration to all… You are a quiet achiever of love! Thank you for your love. 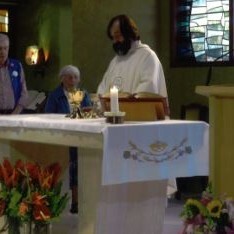 Pope Francis in his recent exhortation on the call to holiness encourages you “Always ask the Holy Spirit what Jesus expects from you at every moment of your life and every decision you make so as to discern its place in the mission you have received” (Gaudete Et Exsultate) and your motto To be one with Christ in All Things will continue to guide you. 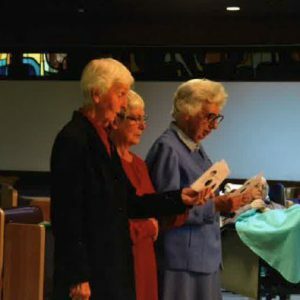 May you be encouraged by these words of Pope Francis: “We are all called to be holy by living our lives with love and bearing witness in all that we do, wherever we find ourselves” (Gaudete Et Exsultate). May your motto All for Jesus through Mary continue to guide you. 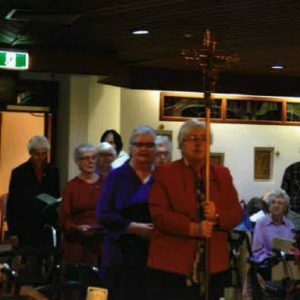 There was a separate celebratory Mass in the Giovanni Chapel of St Vincent’s in Kangaroo Point, celebrated by Fr James O’Donoghue.